It’s sweet, it’s delicious and it’s not mithai. That’s right! Customised wedding cookies are the way to go. And you can also get a sugar-free version for the diet and health conscious. 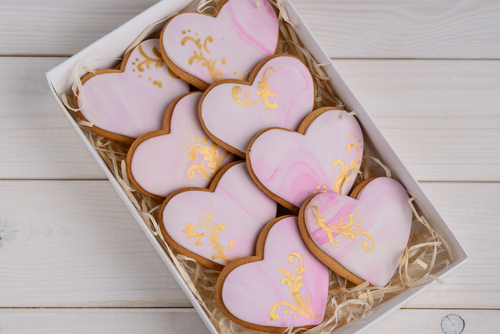 High-end bakeries in your locality would offer yummy and assorted cookies which can be customised as per your choice. Prices go by the kilo. We all have those regal showcases at home where we choose to put our crystals, fine china and fancy glasses on display. Give your guests something to add to their collection with cute, printed wine glasses. 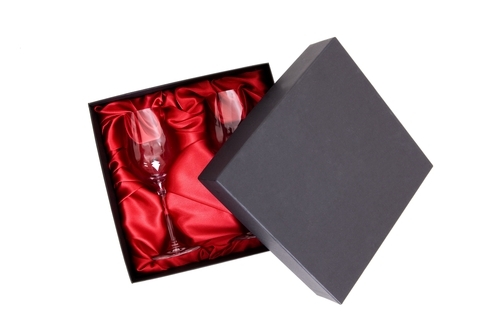 You can choose a variety of options from champagne glasses to flute glasses. You can buy them in bulk and get them printed with your message or check out vendors like Printvenue who will do the job for you. Can your invitation get cuter and sweeter…like literally! These little pots of happiness filled with assorted jams are sure to delight your guests’ taste buds. 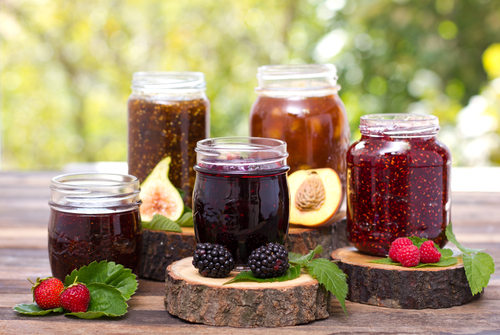 And they look so pretty that you go aww… Check out e-Bay for cute jam bottles for as low as Rs 499 for a set of 3-4 jars. It’s an ultra-cool pun on the words ‘engagement’ and ‘meant to be together’. These cute, customisable mint gifts are definitely the way to show that you’re too cool. These mints come in reusable tins and be customised as per your choice in varied colours and shapes. Most of the times a custom-designed sticker goes on top of it. The best part is that it costs as low as Rs 80-100 when ordered in bulk. We love how this couple did a variation this - they got customised M&Ms made for their wedding! 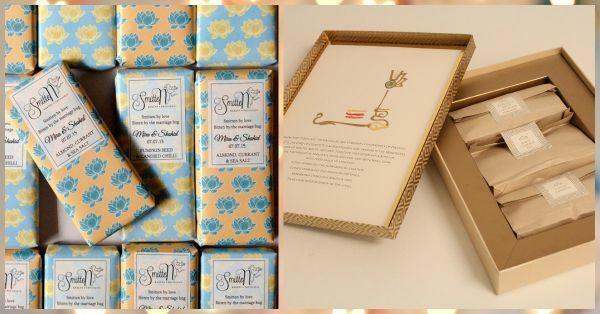 Light up the homes of your guests with these customised candles and matches. You can choose from varied options, be it scented, ones in pretty glass jars, or fancy caricature-shaped candles which can be used as a decorative item. 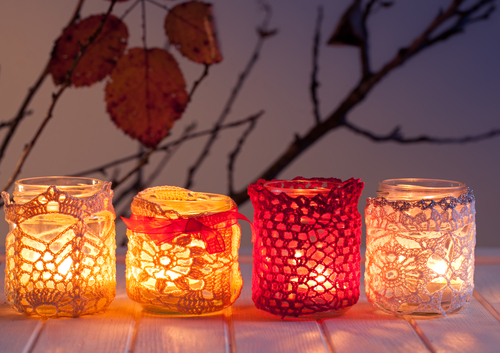 This option again can start at a very low price range and you can choose to put a pretty lace around the candle which will make it look elegant at a minimal price. 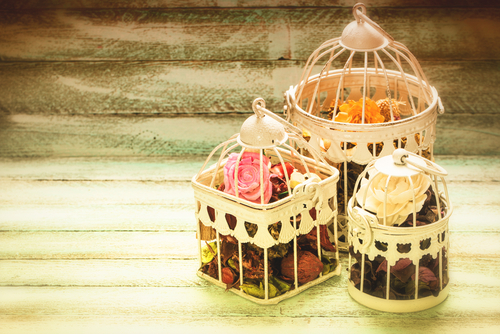 These delicate little birdcages would add elegance to any corner of the house they are hung in. You can choose to put a small tray of muffins chocolates inside the cage. Your guests would always remember your wedding whenever they glance at this bird cage. You can find these at Elan. Images: Shutterstock Featured Image: Smitten Bakery on Facebook, Rukmini Kapoor HAVE A STORY IDEA FOR POPxo? If you want to hear about it, we can write about it! Just tell us your idea here! MUST-READ: Not Just Mithai?! Wedding Favours Guests Will Absolutely Love! MUST-READ: Want To Make Your Wedding Invite Different? This Is How!